This authoritative survey of English usage, grammar, and style offers guidance on almost any writing problem imaginable. Arranged in a single, easy-to-use A-Z list, the guide's entries include examples and quotations that show not only correct and incorrect usage but also the relative effectiveness of different expressions in context. In the new edition of this highly acclaimed and bestselling book, language and culture expert Tony Thorne explores the teeming and ever-changing underworld of the English language, bringing back intriguing examples of eccentricity, irreverence and anonymous wit from the linguistic front-line. 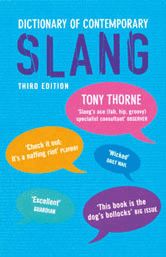 The author has carried out original research among slang users and connoisseurs and has trawled all manner of written sources. Its main fare is idioms - groups of two or more words that taken together mean something different from the literal meaning of the individual words. Each entry is defined and has an example sentence showing the idiom used in context. Most entries offer an explanation of the idiom's literal meaning or origin and include information about its first appearance in English. An eponym is the name of a person after whom something is named, for example Lord Sandwich gave his name to the sandwich. This book tells the stories of nearly one thousand men and women whose names have become part of the English language. It introduces readers to the people behind the Bunsen burner, the Catherine wheel and the Belisha beacon, and explains who John Hancock, Gordon Bennett and Granny Smith were. In his Dictionary of Euphemisms and Other Doubletalk, Hugh Rawson explains, in clear language, what it means when we talk of an unusual occurrence, a crew transfer container, or Montezuma's revenge. If you have ever been baffled by the expression culturally deprived, or want to know where the phrase deep-six comes from, then this book will certainly be of service. Anyone who writes verse, whether lyric poet, songwriter or composer of limericks or jingles, will find The Penguin Rhyming Dictionary an indispensable reference companion. Clearly arranged and easy to use, it offers an astonishingly wide range of suggestions for rhyming words, from the common and everyday to the more difficult and obscure. Unlike many of its predecessors it is not merely organized according to the spelling of words but is based on phonetic principles. From the publishers of the perennially best-selling Brewer's Dictionary of Phrase and Fable comes a phrase and fable dictionary for the 21st century. With its unique blend of word and phrase etymology, cultural allusion and general knowledge, and its predilection for the esoteric and the unexpected, Brewer's Dictionary of Modern Phrase and Fable offers a richly diverse and entertaining exploration of the linguistic and cultural landscape of the modern world. From angst to zydeco, the ultimate guide to foreign terms and phrases, this practical and browsable A-to-Z reference tells you all you need to know to understand, pronounce, and appreciate the nearly 2,000 foreign words and phrases commonly used by speakers and writers of English. Covering a wide variety of subject areas and includes loan-words from more than sixty languages around the world, such as: Latin (desideratum) * the romance languages (rapprochement, macho, imbroglio) * German (gestalt) * Russian (gulag) * Hebrew (shibboleth) * Yiddish (shtick) * Persian (tambura) * Hindi (purdah) * Arabic (loofah) * Hawaiian (kanaka) * Creole French (zydeco) * and Japanese (netsuke). 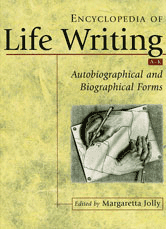 This is the first substantial reference work in English on the various forms that constitute "life writing." As this term suggests, the Encyclopedia explores not only autobiography and biography proper, but also letters, diaries, memoirs, family histories, case histories, and other ways in which individual lives have been recorded and structured. Wall Street Words is an essential guide to the words spoken on "the Street". This updated edition has a significant number of entries - more than 700 of them newly added to reflect key developments in national and world markets - and covers everything from investment fundamentals to the sophisticated terminology of contemporary finance. 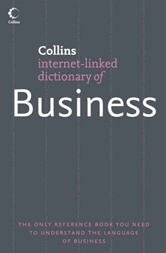 The ideal handbook for everyone with an interest in the world of business, whether for study or at work, or who needs to get to grips with the mass of jargon that is used. 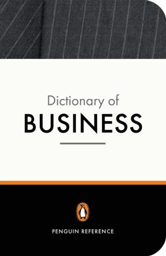 Clearly written by experts in their fields, with practical and relevant examples, it covers a host of both general and more specialized business terms, from 'A' shares to zero-sum game. 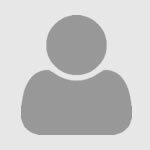 Covers all the main areas of business theory and practice: marketing, production, finance, personnel, business policy and international business. A timely survey of an important sector of American letters, African American Writers examines a multitude of black cultural leaders from the 18th century to the present. Here you will find out which was the first novel by a black author published in America, Zora Neale Hurston's disparaging name for her peers in the Harlem Renaissance . . . and other interesting lore. A timely survey of an important sector of American letters, The Encyclopedia of African-American Writing covers the role and influence of African-American cultural leaders, from all walks of life, from the 17th century to the present. 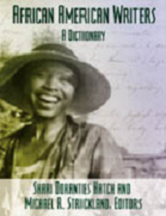 Readers will explore what inspired various African-American writers to create poems, plays, short stories, novels, essays, opinion pieces and numerous other works, and how those writings contributed to American culture. 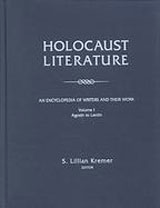 Featuring alphabetically organized bio-critical essays on writers of memoirs, novels, poetry, short stories, and drama, ranging in length from 1,500 to 7,000 words, this comprehensive scholarly work presents a broad spectrum of voices remembering, interpreting, and reinterpreting one of the twentieth century's most politically and emotionally charged events. Recommendations on books, authors, genres and topics. Includes read-alike suggestions. Get reading recommendations for both fiction and nonfiction, for all ages. Just enter the title, author, or genre of book you like and NoveList's expertise will generate a list of similar titles.